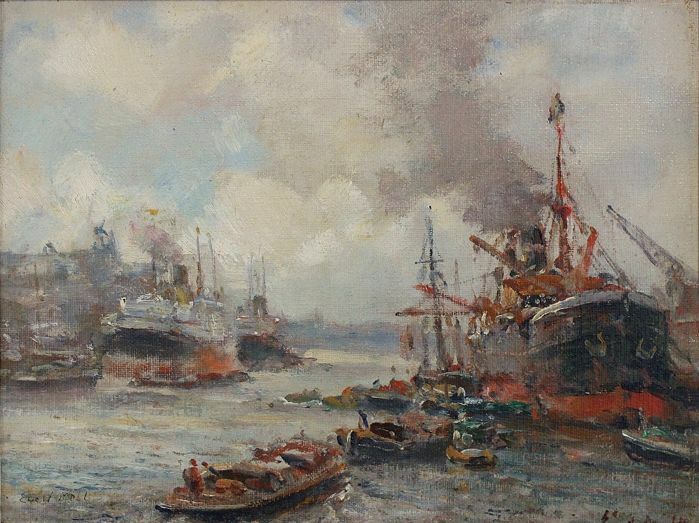 Beautiful impressionist harbour view by Evert Moll. The signature is of later date. 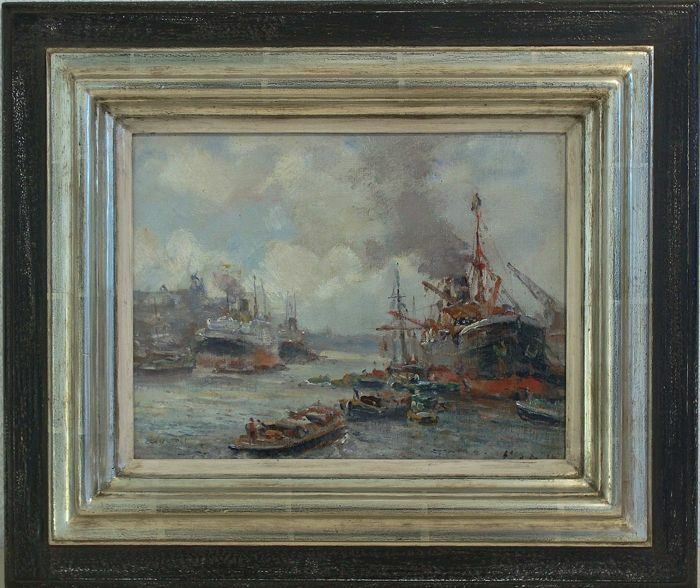 Evert Moll painted landscapes, though especially river, sea and harbour views and, in his later years, also still lifes. 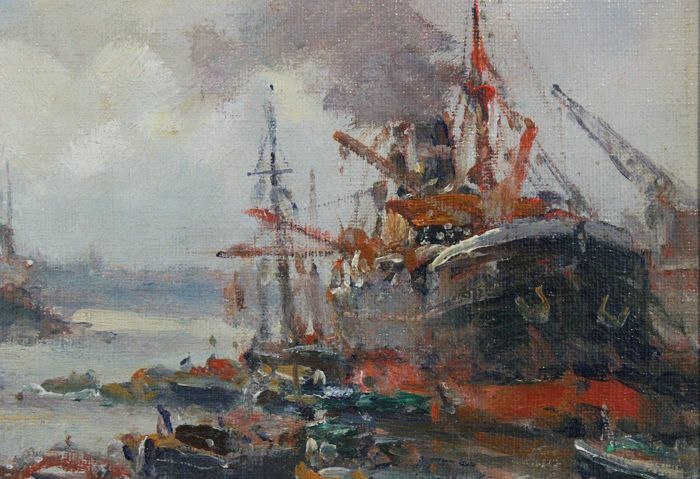 Evert Moll's works are part of the State’s Collection, the Zuiderzeemuseum and the museum Boymans-van Beuningen. The port views of Moll can be read as a history book. 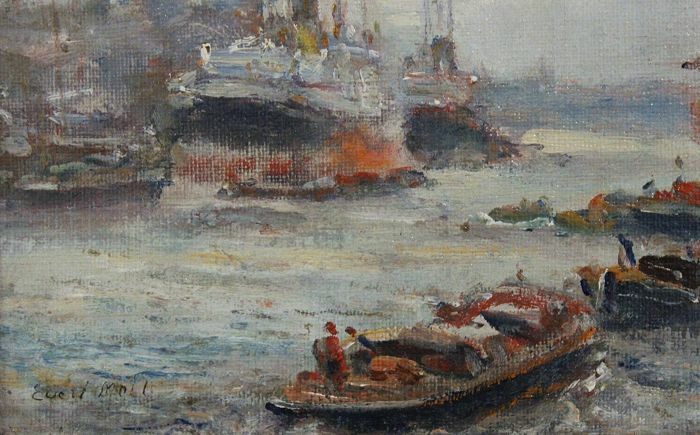 In this way he records maritime development at the beginning of the 20th century. How the ports expand, the ships get bigger, and the sailing ships make room for motorised boats. Worldwide shipping. The painting will be carefully packed and shipped with track and trace. Keurig verpakt en verzonden. Prima kwaliteit.. Very quick and personal delivery, avoiding any risk for dammage. Perfect packing, delivery and service! Top!! Perfekt ingepakt....geen schade....snelle levering,,, top ! Het schilderij werd keurig verpakt en persoonlijk gebracht; heel fijn want zo heb je geen kans op beschadigingen via de post. al met al zeer content. very good and honest seller!! concerning the packaging. 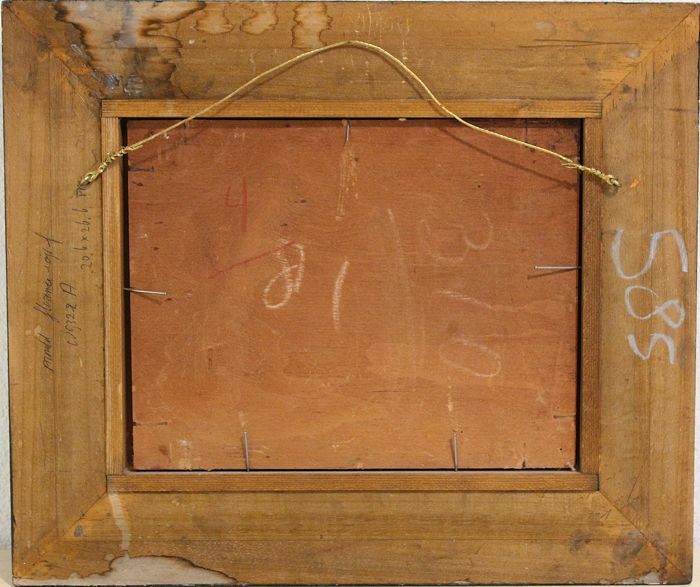 We are very surprised to hear that the corners of the painting are broken since we are taking very good messures to protect it and to ensure that the shipper knows that it is a painting and it must be handled with care. Can you send us photos of the of the package so we can understand how this could happen. Het schilderij is in goede staat en heel zorgvuldig verpakt aangekomen. Puoi ritirare questo lotto direttamente presso il venditore: Groningen (), Paesi Bassi.